Both a psychologically attuned philosophy and an impassioned manifesto on life, this mind-opening book will inspire you to liberate your spirit and seize your true potential. “We’re confined in mental prisons of our own creation,” declares Tom Asacker as he begins this extraordinary book, which is based on philosophies conceived while writing a screenplay with Shannon McCarthy-Minuti. He goes on to assert that the locks to our cells are the delusional stories we tell ourselves. And it’s that reality that keeps so many of us from living an authentic life and doing what truly moves us. This simple, personal and profound book rejects the everyday, traditional ideas of reality and the “quick-fix” formulas for success and happiness. Instead, it pulls back the curtain to reveal the powerful cultural illusions that control your mind and heart, and shows you how to find faith in your true self and return to your own common sense. Okay, this is different. One typically reads about films that were adaptations from novels, like Gone with the Wind, The Grapes of Wrath, and The Godfather. This fascinating novel by Asacker and McCarthy-Minuti is paradoxical, just like almost everything else about I am Keats. It's an adaptation of their screenplay. Movie audiences understand that a film cannot include everything that was in a novel, and so they forgive the screenwriters. So what happens when an engaging screenplay is expanded into an original novel? Something entirely new and extremely provocative. One reader referred to it as "philosofiction." If you had the opportunity to erase someone’s past and rewrite his story, to give him a do-over, would you take it? And more importantly, should you? Peter Anderson’s life is falling apart. His brother is a slacker, his son is in trouble at school, and his animation studio is on the brink of disaster. And despite being a seasoned executive, used to running things his way, the world is not going according to plan. When his brother has an accident and loses his memory, Peter, the professional storyteller, comes up with a brilliant idea: create a new, “successful” story for his brother. Rewrite and reinvent his entire life! But, unlike his cartoons, his brother isn’t quite so easy to control, and consequences that neither of them could ever have foreseen spin Peter’s life out of control. He’ll eventually discover that life isn’t a story, and people are not characters to be scripted and directed. Life is a poem. Life is a painting. Life is a dance. Life... is a song. And none of us know the melody. 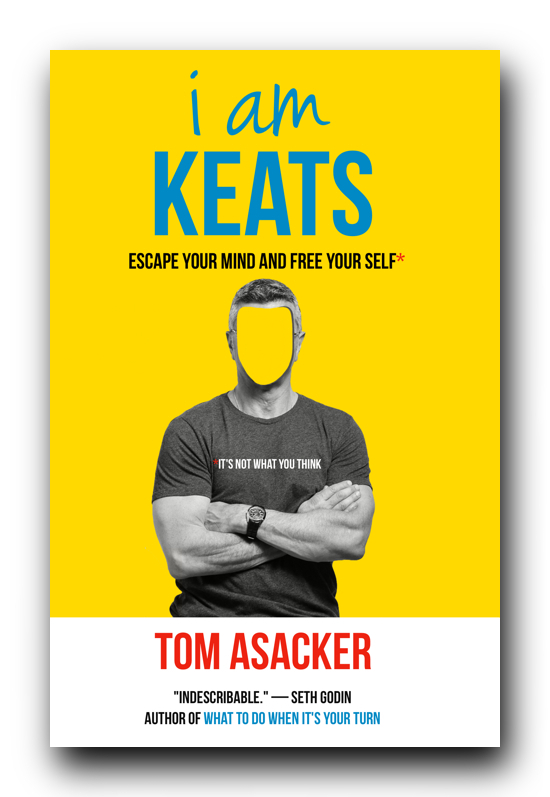 A quirky, emotional gut-check of a story, I AM KEATS is a brilliant meditation on success, love, letting go, and finding one’s self again.